After retiring from 22 years as a Naval aviator from Naval Air Station Whidbey Island, Joe Behan was ready to become his own boss. The would-be entrepreneur, married to Cristine, who is also a Naval aviator, cast about for the right business to which he could apply his enthusiasm and discipline. 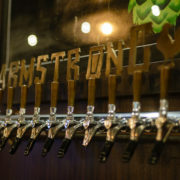 A homebrewer since he was stationed in Hawaii in 1994, the idea of a Bastion Brewing, surprisingly, didn’t come to him until well past looking at ideas like garage floor castings and a few other non-starters. When he finally did happen upon the idea of a craft brewery it was an idea his wife Cristine approved of. 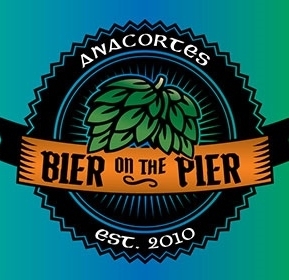 The kernel of the idea took place in the fall of 2015 after Behan met an assistant brewer at Anacortes Brewery named Evan Barnett, who was more than happy to answer his many questions. Behan walked away thinking “He’s a pretty nice guy,” and contemplating all that would be involved in building his own brewery. Once the decision was made, Behan set about first finding the right location. He noticed a Craigslist ad for a location across the street from Swinomish Golf Links, off Highway 20, near the turn for Deception Pass and Whidbey Island. Although he lives on Whidbey Island, Behan had already decided he didn’t want to open a craft brewery there. He also didn’t want a location in downtown Anacortes as he viewed the traffic there as more seasonal, with heavier visitation in the warm summer months. So, when he saw the location, which had most recently been used as a Mexican restaurant, he asked the owner what he would be allowed to do to the building. The response “whatever you want” sealed the deal. A lease was signed and Behan began redesigning the 6,000 square foot space to accommodate a craft brewery, restaurant and cozy taproom. Behan also kept an eye on the steady lunch traffic from the Tesoro plant that was attracted to the Shell station next door. That was in 2016. As the bits and pieces of building out the business were tackled, and the business got closer to reality, there was still one missing piece – a name. Behan was still working at the naval base on Whidbey Island as an EA-18G Contract Simulator Instructor. When he started talking about the brewery with a co-worker, during a shift, she turned out to be a marketing maven with a wealth of ideas for him, including a long list of potential names. He credits her with suggesting the name Bastion Brewing – which just seemed to fit. “Bastion” is a person or place that strongly upholds certain principles or attitudes. Behan believes in delivering the best product possible and in holding his team to a high standard, so the name rang true. Furthermore, “Bastion” ties in to his naval career, which he holds “pretty personal,” but would be “more than happy to share over a couple of beers” with anyone interested. The process of building out the brewery didn’t go as smoothly as he might have hoped, but Behan took every setback in stride, attributing his patience and persistence to his experience in the Navy. As he persisted in moving forward, he started to think about personnel. He enlisted the help of Laurence Livingston of Kettle & Still Consulting in Corvallis, Oregon. Livingston was on board to help him start, but not in it for the long haul. Although his personal passion was brewing, Behan was smart enough to recognize he would have other responsibilities if the business were to succeed. 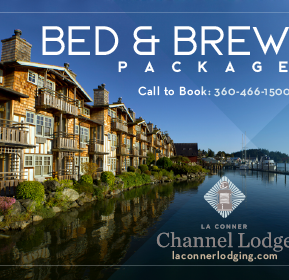 He remembered that nice guy he had met at the Anacortes Brewery and gave him a call. Barnett responded by giving him lead after lead for potential brewers, but in the end, it was Barnett that Behan really wanted to be his head brewer. “We wanted a brewer who wasn’t too set in his ways,” Behan laughs, “who would be flexible and easy to work with.” In the end, he lured Barnett away from his job with the enticement of using all-new brewing equipment and a chance to make his mark. With the equipment in place, Behan gave Barnett a list of beer styles he wanted to start with and Barnett had to figure out recipes and how to make them consistently. They brewed together for about six months, but it quickly became evident that Behan needed to step away from being assistant brewer and run the business. Although he would never say so, it’s clear this change freed Barnett to unleash his creativity. The first beer recipe that was his own was the Oatmeal Stout. Barnett, who is mild mannered compared to Behan’s boisterous enthusiasm, lights up when it comes to discussing the flavor of beer. His quiet demeanor falls away as he gives voice to his passion for the many variables involved in creating a unique flavor. The beers on tap may have originated with Behan, but the recipes they now have on tap are all Barnett’s. Barnett hints at a little resistance on Behan’s part to some of his ideas. For example, Barnett loves Saisons, but Behan was reluctant to include any in their lineup. Now, however, Barnett is free to pursue his many ideas even though the two are constantly discussing beers. Not surprisingly, the Madeline Saison is now a regular on the menu and even named after Behan’s daughter Madeline. 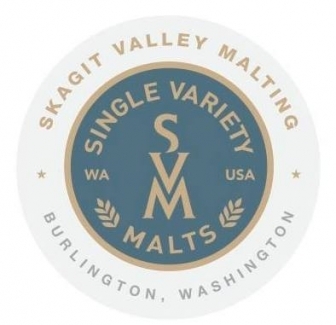 They had to transition their established recipes to the malts when they decided to go local, but they found when doing so that they could use less malt, thanks to the quality and consistency of what they got from Skagit Valley Malting. 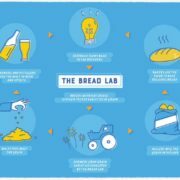 In addition, they saved money on transportation costs and could order small batches the day before they needed them, then pick them up on the day they started the brewing process. This saves valuable storage space for the small brewery. 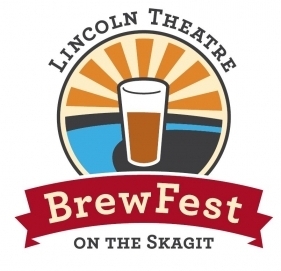 Once they tied their beers to Skagit Valley Malting, they looked for ways to highlight the unique flavor of the Valley. 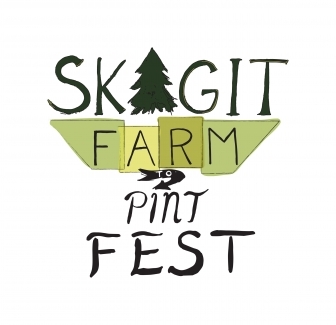 For Barnett, creating a beer using a single premier malt was the best way to share the taste of the Skagit Valley with customers and beer aficionados. 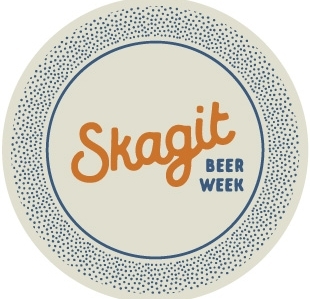 So, he created Skagit Valley Blonde Ale, using Skagit Valley Malting’s exploratory variety the NZ-151 barley (a two-row spring variety bred by the breeders over at the Washington State University Bread Lab, which is next door to the malthouse). Currently, Skagit Valley Malting is the only company in the world working with NZ-151. 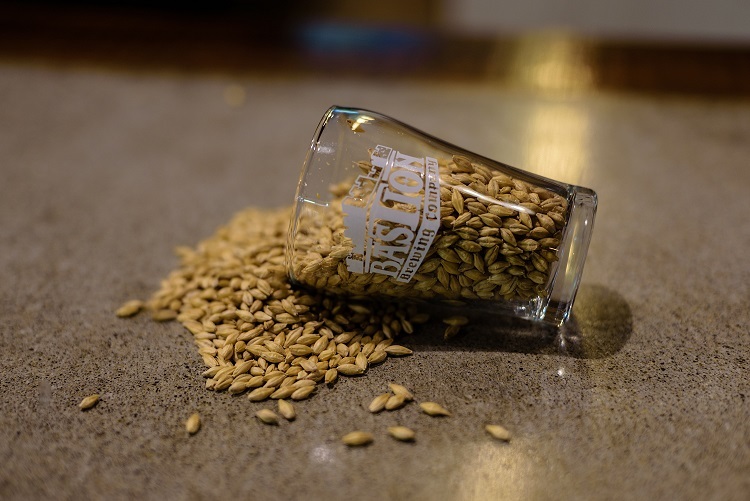 The clear, light Skagit Valley Blonde Ale of Bastion highlights the malt flavor. It became so popular, it reduced demand for Pilsner, which takes a lengthy 60 days to brew. For Behan, the best part about brewing their own recipes is creating beer that will be loved by people who don’t drink beer. “My favorite customer is the person who hates beer!” he only half jokes. Both Behan and Barnett love to tackle difficult customers to find what tickles their taste buds. When a customer says they don’t like IPAs, for example, they encourage them to taste their “Gateway” IPA. The mild IPA doesn’t have the bitter hops taste so many IPA lovers crave, but still delivers on flavor. This is one of the more expensive beers they make because of the dry hop process. Akin to making sun tea, where bags of tea are just allowed to steep in the water, in dry hopping, hops are added back to the beer to steep after the initial fermentation. This slow process adds aroma to the Gateway IPA without increasing bitterness. Hops are another ingredient Barnett believes make a huge impact on flavor. He was thrilled to learn that the consultant they worked with had connections with Crosby Hops, which he had loved during a blind taste test at a seminar he had attended. 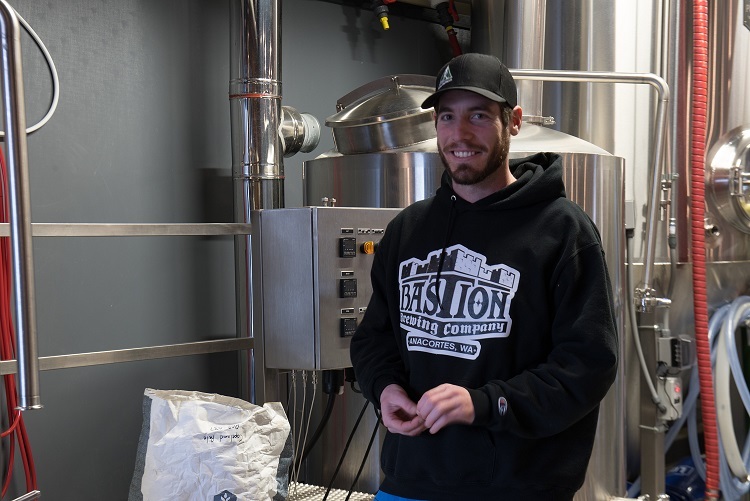 “I always wanted to brew with Crosby Hops,” he gushes, “but they’re so popular I never thought I’d get a chance to.” In fact, Barnett bought some “on the black market” for them to use initially because the popular hops were so scarce. Now they use Crosby Hops exclusively. In fact, last summer Behan piloted a plane with Barnett as his co-pilot to Oregon to pick up freshly picked hops, turned-around and flew back to Skagit Valley Regional Airport the same day, drove two blocks over to Skagit Valley Malting to pick up the malt, and headed back to the brewery to create a Fresh Hop IPA all in under 24 hours. It’s a unique experience available because of the quality local products. Behan’s good nature may have led him down a less disciplined path when it came to hiring staff. He admits they went through 32 personnel during their first year. Once he hired Keyla Beebe, though, he had found someone to stabilize staffing and take it to another level. Keyla frankly admits to being in love with grain. When asked why she moved to the Skagit Valley she sheepishly grins and says “the grain!” Then she admits “I was a Bread Lab groupie for a long time,” referring to the WSU Bread Lab run by Dr. Steve Jones, which is in large part responsible for helping bring about local malt grains. The slight, soft-spoken Keyla also clearly has a knack for working with people. She uses the Cicerone™ training manual to educate and train her servers, and with her calming influence the turnovers have slowed and people have begun to find their places in the company. For Behan, this means less worry about staff and more time to work with vendors to be sure they are up to the standard he expects. Behan’s vision was for a family-friendly place where beer lovers and those not-so-sure about beer would feel comfortable. With a nine-month old daughter (Madeline), and a wife currently deployed, Behan knows the stresses of a working family and wants his customers to have a place that feels comfortable and easy. After a few false starts, he changed up the food operation to a quality fast-casual style, which works well for Tesoro plant lunch patrons, who often call in their orders ahead of time, as well as the after – work crowd who might want a snack. Bastion also hosts live music on Saturdays, in order to entice patrons who might not normally drop in. As they enter their second year of business, Behan is constantly assessing what works, what doesn’t, and how his patrons react. Clearly the combination works. 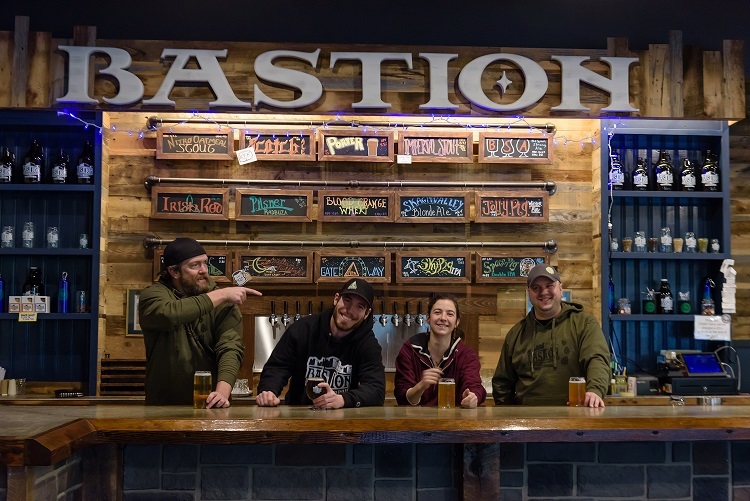 Bastion Brewing was voted “Best New Business in Skagit Valley” by Go Skagit’s Best Awards for 2017. The company is three years into their business plan, which Behan admits was very conservative, after only one year in business. And this spring they are testing three canned beers for distribution with Dickerson Distributing. They also have a new “flying pig” logo that pays homage to his aviation background. “My goal is to have this place running 24/7 – push it to the limit” says Barnett, referring to the brewing equipment. 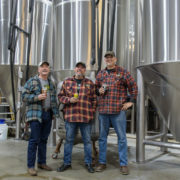 Behan says “We have a real passion for what we do and we want to make great beer.” One of the attractions of the place is the open floorplan that enables patrons to watch craft beer being made as they are enjoying it. It enables people to have a conversation with the friendly brewer and brings a smile to the face of Joe Behan. For a first-time entrepreneur, it seems Behan is flying high. These guys RULE!!! What great brewery. Love the local ethos! Great article about an outstanding establishment!! Love the 24 hour brew! Thank you! It was a great experience hearing their story!